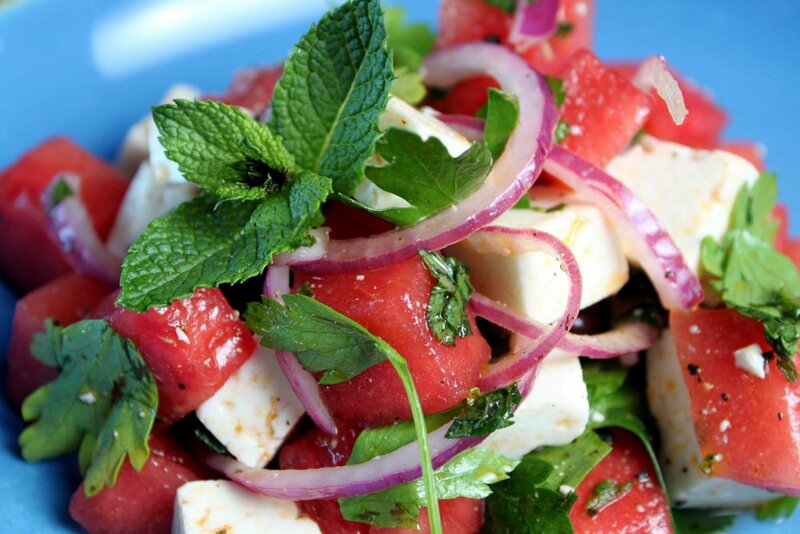 In a large serving bowl, combine the watermelon, blueberries, mint and feta. Toss with lime juice. Season lightly with salt and pepper.